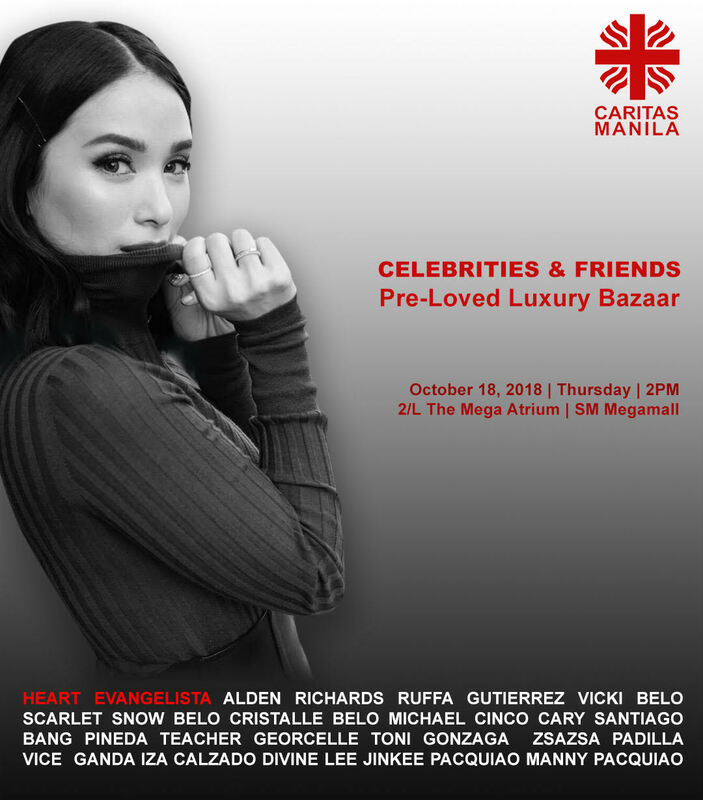 HEART EVANGELISTA is joining the 2nd Caritas Manila Celebrity Bazaar on October 18 (Thursday) from 1 to 10pm. The event hopes to raise as much as 5M Pesos to help support the Caritas Youth Servant Leadership and Education Program (YSLEP). This program, according to Rev. Fr. Anton Pascual, the Executive Director of Caritas Manila, sends and supports less fortunate but deserving college students nationwide to the school of their choice. At 65 years old, Caritas Manila is one of the oldest charity organizations in the Philippines helping the poorest of the poor all over the country. 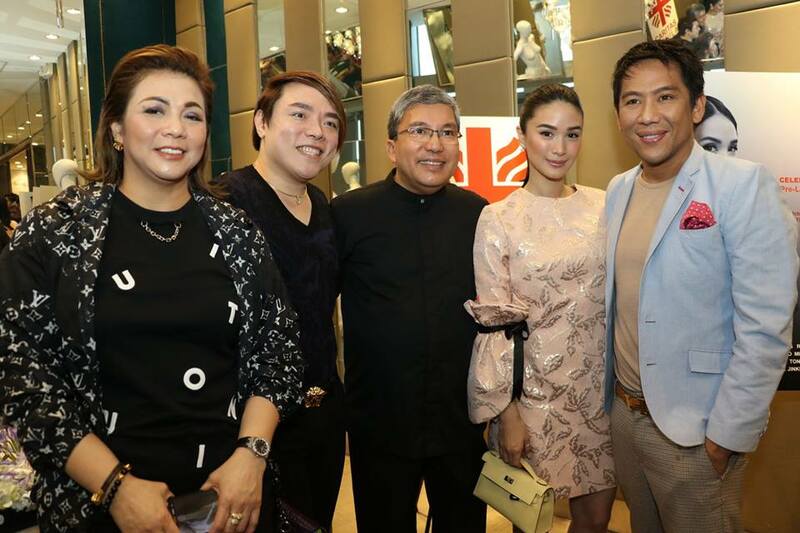 This year, and with the help of current event ambassador HEART EVANGELISTA, the activity aims to raise more funds by providing a venue for celebrities to help the program by donating some of their “pre-loved” luxury items like clothes, shoes, bags and jewelries to the bazaar and also for other people to support by way of buying these items. Proceeds of the Celebrity Bazaar will go to the YSLEP scholarship program. At Caritas Manila, BUYING is the new way of GIVING. During the media launch event held at Lugang Cafe in SM Megamall, Heart Evangelista showcased two of the “Mark Bumgarner” dress and “Sequoia Paris” bags that she will be donating to Caritas Manila for the event. She announced that she will be donating more items and the public can see it all on the 18th. The bazaar will also feature pre-loved luxury items up for sale from generous celebrity donors Heart Evangelista, Alden Richards, Ruffa Gutierrez, Dr. Vicki Bello, Scarlet Snow Belo, Cristalle Bello, Bang Pineda, Teacher Georcelle, Toni Gonzaga, Zsa Zsa Padilla, Vice Ganda, Iza Calzado, Divine Lee, Jinkee Pacquiao, Manny Pacquiao and premier designers Michael Cinco and Cary Santiago, and other well-known celebrities who didn’t want their names mentioned in the poster. Visit the 2nd Caritas Manila Celebrity Bazaar on October 18, Thursday from 1-10pm at the 2nd level of the Mega Atrium of SM Megamall. Entrance fee is P500 per person.